We Want You To Find The Perfect Home...Ahead Of The Competition! Celebrating Over 30 Years Of Customer Service! El Dorado Hills Area Under $450k ? Jill Berni should be nominated for "Woman of the Year"! My husband and I are the absolute worst. We are the kind of buyers that agents have nightmares about: unprepared, crazy busy, unsure about the area we wanted, looking for a property that, as it turns out, is the unicorn of properties (it needed to be 2 houses on one property and impossibly cheap and have space for gardens and chickens and be cheap and a big garage for projects and also cheap). We found Jill Berni by complete accident… a random selection based on almost no information (see! the worst). Jill, undeterred by feral buyers, set us up with a great lender (Kelly Redmond) and went to work unicorn-hunting. Jill explained (and explained and explained) the process to us and was so very patient. Like Job, really. Jill knows great inspectors, too. Also, her tiny stature belies her vicious negotiating skills. You need $30k off the price? Jill will go after the seller with pliers. She found us the perfect home in a shared-equity position on a newer and nicer home than we had before with lower payments. I don't know how she did it. I guess she has made some noteworthy relationships with those kind of investors. She sure has our vote. WHY JILL BERNI AND OAKTREE RE SERVICES? As Owner/Broker of OakTree Real Estate Service, I set the standards for making sure that all our Professional Full Time Realtors® follow the proven steps to sell your home for the most money "You can't bring her a Real Estate Problem that she hasn't Solved before"
Serving all of Northern California. 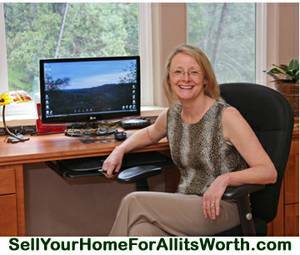 Jill Berni is one of the most Experienced Real Estate Brokers in El Dorado County. If you're interested in learning more about homes for sale in El Dorado Hills, contact Jill Berni, one of the most experienced Real Estate Brokers in El Dorado County. The El Dorado Hills region is an awesome place to live. Because of this, it is not uncommon for homes for sale in El Dorado Hills to be highly sought after.